PUNE: Sanvi Kshetri, a seven year girl earned a Gold and Silver medal in the National Taekwondo Championship. This championship was held in Rajaram Bhiku Pathare stadium, Kharadi recently. 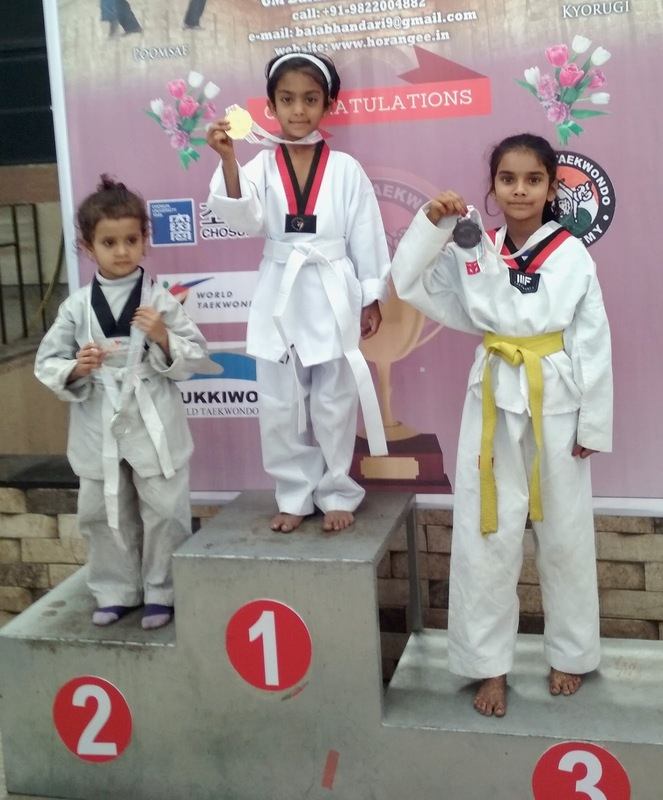 Sanvi won the Gold and Silver medal in both Poomsae and Kyorugi (Fight) respectively. Horangee Taekwondo Academy has organised this championship. 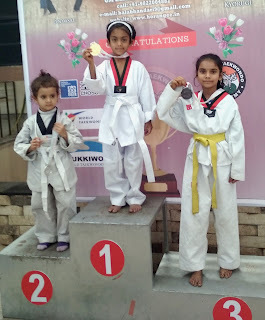 Sanvi is practicing taekwondo from the age of 5 and currently she is studying in 1st standard in Vidya Pratishthan CBSE english medium school. She got the inspiration from her family only. There were almost 1500 competitors in the championship from different states such as Maharashtra, Rajasthan, Punjab, Asam, Madhya Pradesh, Goa, Karnataka, Gujrat, West Bengal, Haryana and Delhi. Sanvi is training under her father Sidhu Kshetri. He is Guinness World Record Holder and International Taekwondo Champion. Recently in Kolkata International Taekwondo Championship, Sidhu kshetri won Bronze medal. Sanvi is preparing for next champion ship under Sidhu Kshetri.